SPH REIT plans to acquire an 85% stake in Figtree Grove, a sub-regional shopping centre in Australia. The purchase is to be funded by a combination of debt and internal funds. It is expected to be DPU accretive. We raise our FY19-21F DPU by 0.5-0.8%. Maintain HOLD with a slightly higher DDM-based target price. SPH REIT has proposed the acquisition of an 85% stake in Figtree Grove Shopping Centre in Wollongong, Australia, for a total consideration of A$175.1m. Including other transaction costs, the total acquisition cost will be A$188.2m. Its JV partner, Moelis Australia Asset Management, whose investments include real estate, credit, private equity and venture capital and which is a unit of ASX-listed Moelis Australia, will hold the remaining 15% stake in the property. The property is an established sub-regional centre and has a gross lettable area (GLA) of 21,984 sqm. Anchored by a 24-hour Kmart, Coles and Woolworths supermarkets, 2 mini-majors, with 72 specialty stores and 2 external tenancies, it focuses mainly on non-discretionary shopping. Figtree Grove Shopping Centre serves a total trade area of ~207k residents and has achieved 47.7% above the retail sales benchmark for malls in the same category. It is 98.5% occupied and has a well-staggered lease expiry profile with a WALE of 7.8 years by GFA. 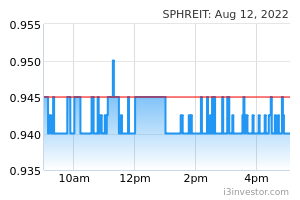 As such, it should provide a steady and resilient stream of income to SPH REIT. The asset is expected to generate a net property income yield of ~5.3% after taking into account the total acquisition cost. The proposed acquisition is expected to be DPU-accretive and comes with a gross rental guarantee of A$800k for all vacant and terminating tenancies in the first year of acquisition. Post completion of the acquisition by the end of this week, the property is expected to provide SPH REIT with an approx. 5.2% exposure by asset value to Australia. SPH REIT intends to finance the acquisition through a combination of debt and internal sources. Its gearing ratio is expected to increase to 30.1% after the completion of the exercise from 26.3% as at end-Aug 2018. At a 30% gearing level, it is still among the lowest within the S-REIT sphere. This gives it room to acquire more assets in the future. We lift our FY19-21F DPU By 0.5-0.8% to factor in the acquisition, assuming 95% debt funding. 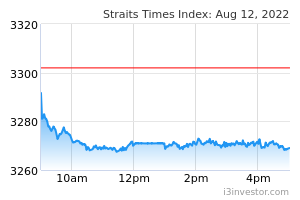 As such, our DDM-based Target Price is raised slightly to S$1.02. Upside accretive acquisitions Downside risk: slower-than-expected rental growth.